We are a distributor and fabricator of sheet rubber. We supply sheet rubber in full rolls, cut to length, slit to width, and laminated to varying gauges. Thicknesses in stock range from 1/32″ to 2″. 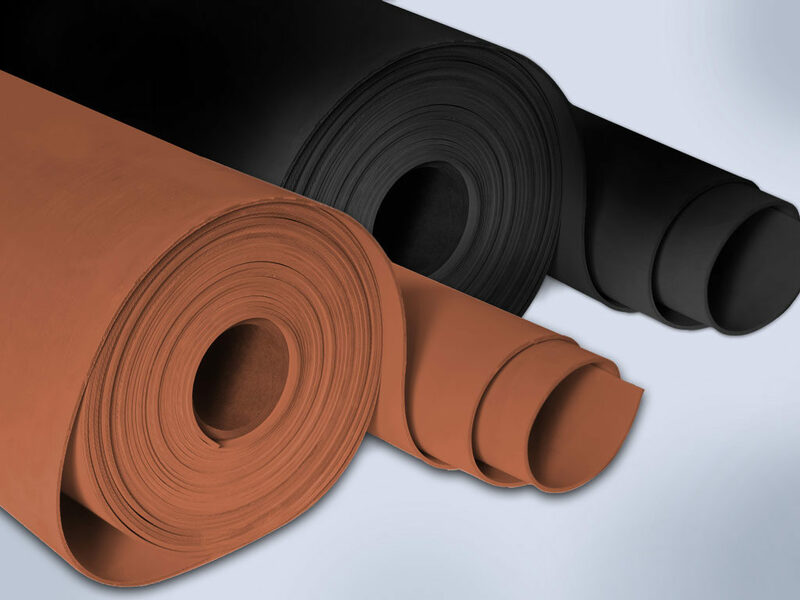 Sheet rubber applications involve sealing all types of media including gases, liquids, and solids. All factors must be considered when selecting the best rubber for the application. We have over 1,500 steel rule dies in house to cut customer specific parts. Our 2 Atom Flash Cut programmable knife cutters provide accurate parts made to customer supplied blueprints (See Video). The Flash Cut equipment is great for prototyping. Tooling is not required so changes are quick and inexpensive.